As the U.S. continues to diversify, the real estate industry becomes increasingly fragmented and specialized. However, just like the country where you can have a Native American, Asian American, African-American, Hispanic American, or any other combination of ethnicity followed by "American," any well-run firm would benefit to have a diverse staff to operate well in a diverse community. Diversification is a natural progression and not an option, particularly where it prevails. Here in San Francisco, California where Anglos (or Euro-Americans?) represent a slight minority, and the rest of the population represent the proverbial melting pot of ethnicities (the diversity that makes this area an exciting microcosm of cultures, languages, traditions and international flavors), companies embracing diversification tend to thrive, while those that don't, with the exception of bigger companies with a history, are either adapting or will disappear under the weight of the economic changes that continue to affect our industry. 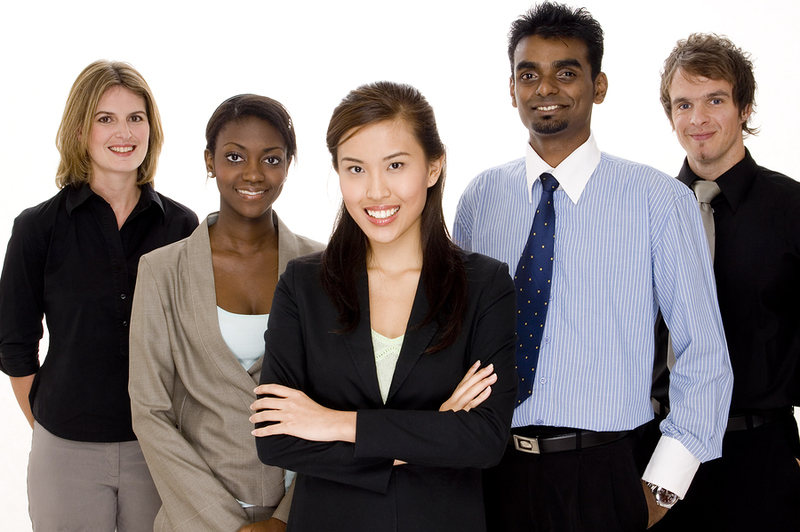 For instance, those firms that have adapted typically have teams of one ethnic group or another, e.g., one office in the geographic area popular among Asians have a contingent of agents that not only speak the language but share the culture and are effective at serving that community, thus creating alternative income flows to the firm as a result. They accomplish this by specifically targeting both the public as well as the agents they need to attend to that public. Some companies embracing this mindset in the heyday of the first-time buyer, no money down frenzy established groups deliberately catering to buyers that were targeted by the language or the ethnicity, rightly or not. The idea of diversification isn't to single out a community for questionable purposes, but rather to cater to the existing needs of the same. As a former manager in a firm in the San Francisco bay area I witnessed how the company's culture would spill over to the clients they attracted and served, albeit in a haphazardous fashion as opposed to a planned strategy. However, a company must establish a clear objective in undertaking any strategy to reach a specific niche, and what it is prepared to do to make inroads therein. For starters, a company with such a marketing plan would do well to determine the size, customs, nature and shopping trends of the target group; not unlike the demographic studies done by any major franchise organization prior to undertaking a new location. Alas many real estate companies leave most of these sorts of investigative steps to random samplings, if done at all. A good broker/manager or company leader reviews where business is coming from and goes about creating paradigm shifts either in the recruitment or in the outreach, e.g., marketing, promotions, etc., for such endeavors. One company where I witnessed this type of insight was a firm that catered to the Latino community in their midst by hiring predominantly Latino agent, in spite of the owner of the company being of Asian decent! Another firm that was located in a predominantly Asian community focused its marketing campaigns in that community by placing strategic billboards in the language of choice and attracting that populace to the firm. Another firm run by a middle-eastern gentleman attracted his client base through television advertising catering to "his" community through targeted ads in the language of choice. This is a smart approach, albeit, as I pointed out earlier, haphazardous. A firm looking to stay viable in a changing economy needs to create an environment where such creative outreach isn' left to whim or accident or worse, to the imagination of a well meaning agent or group of agents in the office. I recall a major franchise attempting to do something along these lines early on. They went about it in a way that seemed to be right - they even bought a magazine in the target market's language! However, without a guiding principle, or someone who understood the niche well enough, this quickly went down a predictable path. The company shut down the magazine and all but abandoned their drive to attract the community they targeted. This diversification isn't solely about producing marketing pieces in the native language - something that can backfire due to poorly translated concepts if not wording. Rather it is about developing a complete strategy and creating the right venue to accomplishing this - from marketing materials to appropriate dissemination points, e.g., radio, print, flyers, to telecommunications and websites and having the right, trained personnel, including a leader, to complement that effort. If done properly a company will reap a greater benefit from this type of diversification and keep greater control of a changing market and the niche it is creating or attracting. And it isn't about leaving any one agent or group of agents to their own devices because this leads to losing control of the very vehicle that is being developed. Presently there are numerous companies following this trend. However, many of them are doing so through the efforts of an agent or two, who, with some insights have stumbled upon virgin, and potentially lucrative territory. Let's face it, many non-traditional markets lack of information and leadership that is prevalent elsewhere, so it isn't too difficult to see that one well-heeled agent can capture a greater share of a given market. A company could do much more if they created the right approach with the right resources - and it isn't about investing a great sum of money, after all, look around and see how many banks, title companies, home warranty companies, and other service providers now provide gratis many marketing materials in different languages. What it does require is someone to take the lead to create the right blend of resources, facilities and opportunities to attract the (untapped or under-served) group(s) you see, through your investigations, as a viable source of your future business. Oh, and remember to bring on the right people to help you serve them properly - in their language where ever possible. There are numerous example of how effective this strategy is throughout the country. Some companies have grown to become larger firms just following a simple approach - find a need and fill it, oh, and you don’t have to speak the language, but having the right key people who do is the way to go.